Hydropower is, like an oil well, an extractive industry. Yes, the massive mechanical energy of a moving river is renewable as long as the waters run, yet the attending realities of the intrusive and often massive contrivances we call dams are undeniable. To produce the power, they have to leave a little less behind than was there before, whether its water quality, fish or sand; maybe it’s an endangered critter downstream or a lower agricultural yield, a bribe, a displaced community, an inflated cost estimate, an abrogated indigenous land grant. Something. To speak of a dam in the same breath as fossil fuels may seem a radical and willfully blind characterization given the many consequences of fossil fuel use more directly damaging to health and the environment. And truly, fossil fuels are driving us toward a dystopian world at a much faster pace than dams ever will. However, throughout the entire life-cycle of a dam, there are many well known risks and vulnerabilities. Dams are accompanied by the same illusion of permanence, the deceptive and selective construction of national economies according to a singularly uniform vision of development as well as the environmental assaults, all while assuming a paradigm of modernity–that GDP growth and per capita energy consumption offered by hydropower must go hand in hand, that the trickle-down benefits from industrialization and rapid economic growth will inevitably bring national competitive advantage. These exaggerated claims of productivity and efficiency are, in many cases, accompanied by large cost overruns, increased debt and as much secrecy and corruption as any other energy producing industry, often more. In the case of dams, beyond air quality or climate stability, the sacrifice is something more subtle, deemed less valuable, less material and less commonly voiced: the generations of knowledge, the intimacy of return, immersion in an indivisible relationship with natural cycles of river, flora and fauna. These are, in many cases, replaced by dislocation, loss of livelihood, poverty, depression, the fracturing of culture and community and even suicide. Along the way, the river itself becomes an object of exploitation furthering a vision of development, whether it’s through the appropriation of sand for use in some far away place, the fracturing of connectivity in a river basin, not unlike severing limbs from a living organism, blocking the circulation of restorative sediments and the water itself as if the ecologies of agriculture and the food sources provided by the river also become empty objects divorced from the lives of those who depend on them. The indigenous inhabitants of river basins understand and live within change, but dams overwhelm and upset that ethos, deforming communities, cultures, politics, breeding a new and, to the global south at least, foreign ethic. In fact, that this definition of development is unsustainable has been clear for some time. Yet, in response to rising global demand for energy, the juggernaut of dam development rolls on. Climate change is an accelerant, but it’s taken much longer to understand how this change affects the rivers than it has to build the dams. In that sense, we become an endangered species ourselves, slow to adapt to the cascade of change we initiated and to which we continue to cling. But the truth is well known. We can’t have our cake and eat it, too. We cannot have the same river after a dam is installed, no matter how many times and how hard we may try. Governments undertake modeling, the analysis of development, the results of which may bring them into conflict with the interests of investors. In that process, the analysis may soften, the logic and language may bend a little; the process is slowed, equivocation subtly permeates the conclusions. In such reports, written by consultants, versus pure academic studies, there is a welcome certainty appearing in open declarations that a specific component of a basin-wide plan is a threat to the health and longevity of an entire region or the river system that defines it. The Chinese practice, far from being an isolated example, of secrecy, bundling hydro investments in larger appealing economic aid packages, combined with environmental impact assessments performed by Chinese consultants, leads to environmental, ethical and political malpractice, adding corruption and further exceptions to law and lack of enforcement to the whole ensuing package. The opposition to mega-dam projects is a microcosm of the larger climate change “debate.” The success or failure of opposition depends, as in all climate debates, on how the issue is framed and what information is employed to “educate.” It has been shown many times that urgently pointing to scientific evidence is not always the most persuasive approach to climate denial, nor to the best-laid hydropower development plans. Early dam development may have been undertaken without the benefit of advanced comprehensive modeling and projection of effects. It’s also possible that studies of the effects of dams state their conclusions with an abundance of caution in much the same way climate studies understate the effects of climate change, which so far has meant the negative consequences of dams will be greater and come earlier than predicted. The amount of corruption infecting this process cannot be calculated accurately. But a recent study includes a literature review on this topic, a collection of estimates compiled over nearly two decades bringing some credibility and validity to the topic. Throughout the entire project cycle, from the analysis of options to full commissioning and operation, there are a multitude of moments at which the integrity of the process is tested. Ten years ago, the amount of money lost annually to corruption in the hydropower sector was estimated to be $5-6 billion. Another report from that same period estimates whole budget losses at 10%. Extrapolating these amounts to global annual infrastructure spending of greater then $1 trillion leads to staggering estimates of losses. The complexity of dam building can generate a lack of accountability and opaque project management (Bosshard & Hildyard, 2008). For example, there may be separate contracts for equipment, civil works, materials, construction, management, as well as for external consultancies involving local, national and international actors, each with their own requirements. Resettlement activities[a notorious target of corruption]involving large sums of money can also create opportunities for graft (Scudder, 2008; Sohail & Cavill, 2007). The industry narrative on the carbon footprint of dams leads us to assume dams do not emit greenhouse gases. However, the deforestation associated with construction of those dams does impact carbon sequestration as new greenery growing on the muddy banks of a depleted reservoir is submerged again to become a new source of methane release. The accumulated data on this phenomenon has been enough to downgrade the designation of hydropower as a renewable energy. In Brazil, the 8,370MW Tucuru Dam in the Amazon produces more greenhouse gases than Brazil’s largest city, Sao Paulo; and another dam upriver generates 11.2 million tons of carbon per year, equivalent to the annual emissions of 2.3 million cars (Fearnside, 2002). Other studies have confirmed these findings, namely that the carbon footprint or lifecycle impact of a dam can vary greatly depending on design, location and climate, maintenance and lifetime of operation (Raadal, Gagnon, Modahl, & Hanssen, 2011; Vate, 1997; World Commission on Dams, 2000). In other words, the changes to a natural terrain to construct the storage dam convert a carbon sink to a source of methane emissions that did not previously exist along with a reduction in oxygen content of the river. As serious as these incidences may be for some locations, over its entire lifecycle, hydropower still has the lowest carbon emissions of any source of energy production. More surprisingly, however, the question of whether hydropower projects actually decrease economic growth rates was studied among over 100 countries over three different timeframes and confirmed by Sovacool and Gotz (2018). Equally surprising results from this study indicate there is no clear and convincing data indicating hydropower reduces poverty, yet there is data indicating hydropower increases corruption. What is often missing in the opposition literature commonly seen in the more agrarian global south is a simple and direct bottom line, a distillation of all the various known and documented minor and major consequences of damming into a clear and penetrating message. The big picture painted by touting electrification by conventional dams does include at least some of the intended benefits, but beyond the dislocation, the debt, the cost overruns, the corruption, it all comes with a verifiable trade-off too often overridden by the profit-driven inertia of anti-poverty scenarios: lowered food security. Everything changes….and there is no end. Everything seems to have a beginning, a middle and an end. But the end? An illusion. Sure, we are created, grow, mature, decline and die. No exceptions. The cycle is repeated in every life form, every material creation, everywhere in the physical world. Ideas, social movements, artistic expression are all born, develop and morph into maturity and decline, ever to be overtaken by something new. Nothing endures. Only the form and the venue change. What exists now could not be possible without all that came before. It is, no doubt, these realities of life that spur our view of heaven, the nature of human existence, of ultimate fruition or any other supra-mundane vision. Human frailty is another matter. From the narrowest view of our individual (and separate) lives, we have all suffered (or will suffer) in some way, more or less. There is no such thing as perfection. No one is severed from the network of relationship, from the infinite ongoing web of events. Within that matrix, we are forever exploring and seeking a novel expression of human potential. At the collective level, our magnificence and flaws are all amplified. We are violent, messy, conflicted, paradoxical, and interminably so–which stimulates curiosity and inquiry and reasoning, psychological and social theory and experimentation and testing and innumerable forms of remedy for imperfection and suffering. Conventional wisdom, including prevailing spiritual wisdom, refers to healing as if it might represent resolution, completion. We even speak of enlightenment, like all other aspects of life, as a developmental process that has a beginning, a middle and an end. What is that end?–presumably eternal unchanging omniscient bliss. We talk about personal and collective spiritual evolution as an ongoing linear process happening for each individual and for the collective as a whole, leading to “higher” consciousness, which, in the language of integral dynamics, transcends and includes all previous levels of attainment. This process is not described as one that is never completed. Rather, with the proper intention and discipline, the right effort, the right teachers, the right view and given enough time, something is achieved in a distant future; namely, the cessation of the cycle of beginning, middle and end. To suggest that this bias may be false or doesn’t serve us would be to threaten the entire superstructure of personal-even collective-spiritual achievement. To a large degree, the ideology of healing depends on the existence of a separate self and assumes that a full cleansing and reintegration of every shred of separation from the core self can occur, that the unconscious can be plumbed, interpreted and redirected, that all “parts” are either fully discharged of their accumulated energy of dissociation or whatever drives self-defeating behavior, whatever perpetuates suffering can be exhausted to the point at which the root of suffering itself, wanting things to stay the same, dissolves. That, after all, is the point of needing to choose between heaven and hell, between blue skies and pain, when actually, if we were really “here,” there would be no distinction between samsara and nirvana. They would be regarded as ultimately the same…and also as nothing whatsoever. The path “to” enlightenment is different from one tradition to another and also within different Buddhist traditions. Some paths are all about the individual, as if everyone is on a solitary path. 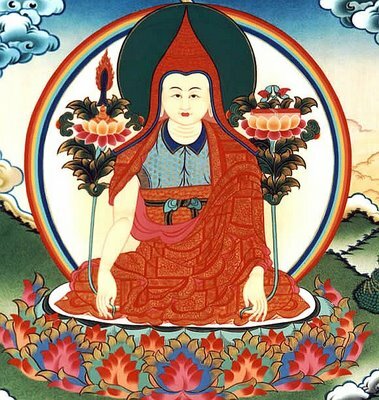 Others are about each individual realizing an intrinsic and unbreakable relationship with all beings such that their personal accomplishments are a contribution to the enlightenment of the whole and also derive from the actions and contributions of uncounted others. Even in We-Space dialogue, the intention may be to access a moment of collective consciousness, whether through alignment or dissonance, and thereby advance the development of the whole. But we rarely imagine that the wounds of the individual cannot be “healed” until all wounds are healed. And now it’s time to declare-via the Resonance Path Institute-that such wounds are themselves the fuel of connection itself. The healer is perpetually wounded, lives in and with the wound and never loses the perspective that the wound is the connection to all things, not a personal black hole, a soul-anchor drawing energy and light, the atomic dimension of being, one’s “freedom” into its deep invisible mass. It is a portal. I cannot truly heal “myself” because, as we are coming to know more fully every day, everything is a transpersonal phenomenon. What and who is being healed, however that may look to us on any given day, is greater than we know or imagine. We “know” this, but most of us still think and act as if it’s not so. What can be healed may feel like it has something to do with me-and it does-but it is also about relationship. What is made whole is not merely me, but also my relationship with the whole. What we call “healing” might be a new realization of continuity, an expanding complexity of relationship between the individual and the whole. And not solely to the intra-species whole, but to the full trans-species matrix of existence. Healing is necessary for the evolution of consciousness and especially for an eventual resolution of all grasping, all unhealthy desire and aversion, all duality dissolving into the perfect unchanging non-dual bliss of absolute presence. But no one gets there alone. “My” problems will never be healed until all problems are healed. And for that matter, no collective problem can be isolated either. “You” are a flickering of my imagination. And in a trans-corporeal world of viscous porosities, the same could be said of “me.” We are all fully connected to the matrix. All wounds, the currency of our individuality, are portals to the network of collective consciousness…directly, without mediation. Our hurts, our conditioning, the flawed beliefs that drive us, the sources of our dissonance, our reactivity, alienation and loss of agency are not what separate us from each other so much as the belief that they are ours alone to be suffered in silence or only to be shared with shame, regret or judgment. They are the essence of relationship. This idea pierces through the conditioning and the increasingly antiquated cultural ideology that says we are each alone in our dungeons of secret pain. Whoever embodies this truth, who manages to be sufficiently present with whatever arises, as the Dzogchen teachers say, is then “spontaneously liberated.” There is no loss of feeling, and no lingering emotion remains to reinforce attachment to any remaining shred of embedded trauma, which means, again, awakening is not an isolated event, but instead is an expanding realization of connection with everything. Otto Scharmer’s Theory U (and Presencing Institute) shed further light on how We-Space is a presencing activity and a practice for the demands of our times. According to Scharmer (though he does not use the term itself), the cultivation of We-Space is not simply adding another app, another bauble to horizontalize your home page. It represents a full operating system upgrade. Developing versatility in We-Space is a vertical awakening of courage, compassion and curiosity, aligning the personal system to address and reverse the systemic absencing characterized by the current atmosphere of extreme, increasingly sophisticated and corrupt sowing of doubt, fear, hatred, fanaticism and polarization for the aggrandizement of a few. Scharmer’s model moves from presencing to crystallization (of principles) to co-creating….from imagination to testing to codification. In such a process, the internal work of Circling and all the different models of We-Space promoting presencing must eventually coalesce and turn outward either by deliberately propagating the principles of We-Space in larger social contexts such as schools, workplaces and deliberative bodies or by depending on individuals to act ad hoc, taking their personal practices into collective settings with other like-minded individuals. Cultivating, or presencing in Self, is to descend into our deeper capacities, creative gifts, and at the same time soften the boundaries of identity, building a capacity to live in the zone of a more diffuse, transitional and fluid self. Exploring such deeper personal capacities by presencing in Self is to connect more directly with the natural context, the collective intelligence of the natural systems in which we live and grow. Now, whenever I turn my attention to my internal space, and particularly in collective settings, I take for granted that however I feel inside is to some degree an experience of the collective field. Thus, “knowing” oneself, reinforcing or improving a distinct and separate identity, is only half of the learning process. The other half is to then look beyond that identity. We-Space practice takes me into a rich realm in which I can observe the micro-field of self in a dynamic flow with the macro field of the collective. In so doing, I become more acutely aware of the paradox of self, the ambiguity of my boundaries, where transitory concerns such as idiosyncratic waves of sensory and emotional activity can temporarily yield to a deeper experience of the ocean of energy in which we are all immersed. As Rick Hanson noted in Buddha’s Brain, neurophysiology tells us “Neurons that fire together wire together.” In an individual brain, patterns of identical responses to identical stimuli literally become like x-country tracks in snow. We want to follow them because someone has been there before. Studies on the long term effects of contemplative practice indicate we can literally interrupt and re-program our responses by the deliberate practice of mindfulness, deepening and smoothing tracks in the brain that form the material analog of equanimity, generosity, compassion, gratitude, even courage. The reverse is also true: neurons that are wired together will fire together in response patterns. The most common and obvious are the autonomic responses of fight or flight—a tried and true survival mechanism—but also the more nuanced long-term subtle regeneration of responses to the messaging of scarcity, nativism, tribalism, ego and ethno-centrism. Since we are now (in the nick of time?) gradually embodying the reality of individuals co-extensive with each other and all life, the existence of a group field, quantum phenomena, collective intelligence, the influence of culture in programming the brain function of the individual becomes as plausible as a belief in the role of nature. In that regard, we might well acknowledge the influence of generations of ancestors, both human and non-human, being present in our immediate communications. Our ancestors are part of our bodies. We are endowed with their consciousness and their karma and must assimilate it all, digest it–experiencing our multi-generational patterns–to fully experience who we are and what is our path. From the standpoint of collective experience, going all the way back to tribal society, what was assumed and learned and passed on from one generation to the next was our place in the group. One’s personal ego was at times subsumed to the group ethic. Under these conditions, responses, and thus brain patterning, would follow the community rules superimposed on the natural substrate. One’s relations would be to the earth, the tribe and the family. When the rule-setters, leaders and those who mediated the seen and the unseen, form and the formless, acted to enforce the rules, everyone followed because they were already patterned (wired?) to respond within a limited field of options. Likewise, in a post-tribal world fractured and dissolved, patterning continues to undergo transformation. Now, in a post-modern, post-industrial world, family, cultural and, to an extent, tribal patterning remains. Individual and collective efforts to overcome largely unconscious patterning at the familial and tribal level bring us up against powerful primitive and deep patterning at the individual level as well as the remains of group-triggers that govern collective memory, intelligence and response patterns. We live and function in an impossibly complex neural soup of ideologies, allegiances, survival mechanisms, structures of authority, reciprocity and group consciousness. While social media functions to connect people, spontaneously forming and assuming tribal identities, it is also the medium of pandemic attention-seeking behavior, a narcissistic inversion of belonging. All of it together is The Story of Us, however we may define Us (either as a microcosmic “particle” or as a macrocosmic “wave”). But it’s not just an idea or mere mythology. It is Us, which is a clue to how difficult it is to change the Story, regardless of the scale of one’s attention/intention. We-Space, as a “direct, distributed and dialogic” practice, is an evolutionary response to both the psychic need for belonging and a discovery of the fundamental nature of our relationship. It is a vehicle of transition from, in Scharmer’s words, ego- to eco-consciousness. Since the human body is co-extensive with the earth body, the more we examine and integrate emotional experience, sensation, thought and action, the more we connect with a universal view. The more the boundaries between inner and outer experience become transparent, fall away or dissolve into a unitary non-dual view, the more we feel our way into the subtle body we all inhabit. Becoming conversant in the micro-evolutionary flow from purely subjective experience to the communion of We-Space, with occasional healing bursts of actually feeling others from the inside, what Michael Brabant calls “collective somatic intuition,” is the essence of what Scharmer calls vertical literacy.